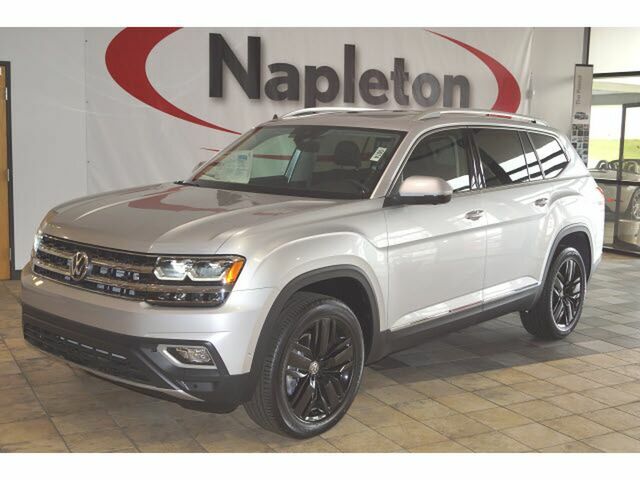 This 2019 Volkswagen Atlas 3.6L V6 SEL Premium is proudly offered by Napleton Autowerks of Missouri This SUV gives you versatility, style and comfort all in one vehicle. You appreciate the finer things in life, the vehicle you drive should not be the exception. Style, performance, sophistication is in a class of its own with this stunning Volkswagen Atlas. Once you see this Volkswagen, you'll quickly see that this is the perfect vehicle for the outdoor junky! You'll even feel relaxed knowing that this All-Wheel drive vehicle will get you to where you are going no matter what may come your way. Also, with this Volkswagen Atlas's dependable control you'll be able to drive into the sunset without a care in the world! There is no reason why you shouldn't buy this Volkswagen Atlas 3.6L V6 SEL Premium. It is incomparable for the price and quality.